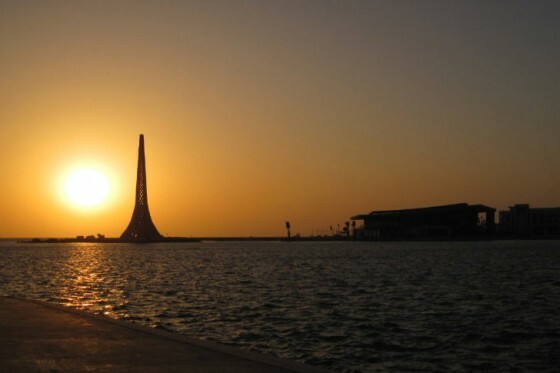 Ever wonder what an Arabian lighthouse looks like? 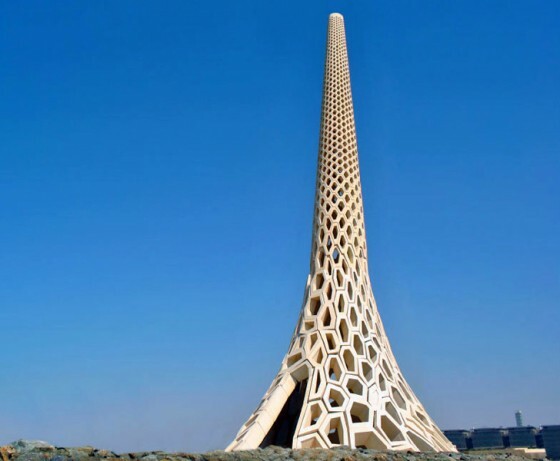 Mariners approaching the Red Sea harbor at Thuwal, about one hour north of sprawling Mecca, Saudi Arabia are now guided to shore by a soaring new honeycomb lighthouse designed by the Australian firm Urban Art Projects. Well, its Interesting....I'll leave it at that. It's certainly not a lighthouse by my definitions. It's an expensive breakwater beacon and a demonstration of excessive wealth. One thing going for it is it's design, Australian of course. That Saudi thing looks like a ground mounted bird house. Looks like they changed their minds about the design when about one quarter of the way up. The North Carr Beacon an Alan Stevenson late 1800s working rendition.